Bhagat Singh also known as Shaheed Bhagat Singh (28 September 1907 – 23 March 1931) was an Indian socialist and a revolutionary. He is considered to be one of the most influential revolutionaries of the Indian Independence Movement. He was born in a Sikh family on 28 September 1907 in a farm. His family had earlier been involved in revolutionary activities against the British Raj. 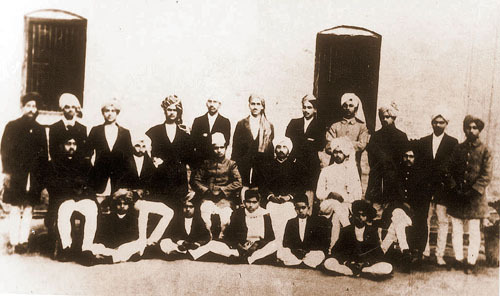 When Bhagat Singh was a teenager, he studied European revolutionary movements. He became attracted to anarchist and Marxist ideologies. He became involved in numerous revolutionary activities. He quickly gained prominence in the Hindustan Republican Association (HRA) and became one of its chief leaders. Eventually, the name of the organization was changed to Hindustan Socialist Republican Association (HSRA). This happened in the year 1928. Lala Lajpat Rai was killed at the hands of the police. Bhagat Singh wanted revenge for this incidence. He became involved in the murder of the British Police Officer John Saunders. The police tried to capture him. However, Bhagat Singh was successful in avoiding arrest. He made a plan to bomb the Central Legislative Assembly. He partnered with Batukeshwar Dutt for this task. He bombarded the assembly with two bombs. They were shouting slogans of revolution and threw pamphlets. After the bombarding, they surrendered. He was held on this charge in prison. He underwent a 116-day fast in jail and so he did not have food for that long. He did this to demand equal political rights for both British and Indian political prisoners. In response to this determined protest, he gained nationwide support. His mentor as a young boy was Kartar Singh Sarabha, whose photo he always carried in his pocket. Singh is himself considered a martyr by Indians for acting to avenge the death of Lala Lajpat Rai. After studying the Russian Revolution, he wanted to die so that his death would inspire the youth of India which in turn will unite them to fight the British Empire. While in prison, Singh and two others had written a letter to Lord Irwin, wherein they asked to be treated as prisoners of war and consequently to be executed by firing squad and not by hanging. Prannath Mehta, Singh's friend, visited him in the jail on 20 March, four days before his execution, with a draft letter for clemency, but he declined to sign it. He was excuted on 23 march 1931. 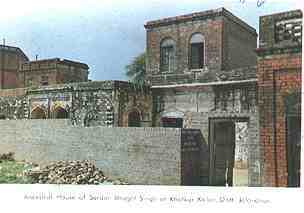 The ancestral home at Khatkar Kalan. Though Singh never lived in the house, it is preserved as a museum. Wall painting of Singh, Rewalsar, Himachal Pradesh. Bhagat Singh Facts for Kids. Kiddle Encyclopedia.